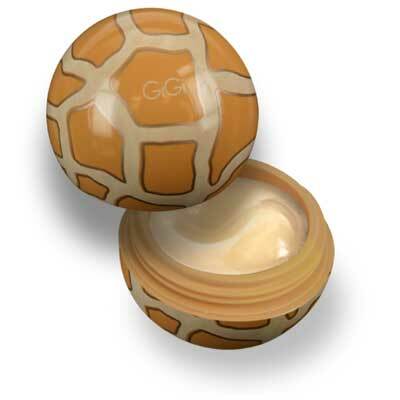 Gigi...Twist & Pout Gigi Lip Balm is packed with the latest & greatest in pucker protection for kiss-ably soft lips. Twist & Pout Gigi lip balm is a one-of-a-kind long-lasting lip moisturizer that is equal parts fashion statement & sun protection confection. Twist & Pout lip balm delivers a crucial combination of shea butter, aloe vera, vitamins A, C, D3, E, & cosmetic grade UVA/UVB sun screen. Choose from a refreshing collection of fun, stylish, spherical containers. All of the Purr-fection collection lip balm is flavored with delicious Citrus Cream. Twist & Pout Gigi Lip Balm makes a great gift! Twist & Pout Purr-fection Collection Gigi Lip Balm.